Chelsea and Atletico Madrid will hold more discussions on Friday as they look to wrap up a deal for wantaway striker Diego Costa, say Sky sources. Although the transfer window in England concluded on Thursday night, the Spanish window remains open until midnight on Friday. The Spaniard’s camp are working hard to find a resolution, but it is understood that it remains a “very complicated situation”. Costa is staying away from Stamford Bridge to force through a transfer to his former club and he recently opened up on his recent troubles saying he thought it was “disrespectful” that Chelsea boss Antonio Conte had texted him to inform him that he was no longer wanted. The Spain international has been strongly critical of his employers, and last week accused the club of treating him “like a criminal” – a suggestion laughed off by Conte. 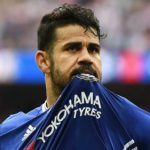 Costa’s latest comments came on the back of news that his agent Jorge Mendes was attempting to broker a return for his client to Atletico, who are the only club he will consider moving to. He was pictured last week training by himself wearing a pair of Chelsea shorts, but has said he does not intend to return to their Cobham training base. The 28-year-old has not been at Chelsea since they lifted the Premier League title in May and remains in self-imposed exile in his native Brazil, despite his club insisting he meets his contractual obligations to get fit and make himself available for selection. Costa signed for Chelsea for £32m in 2014.